Cycling is not just great for your health - travelling to work on your bike can mean a faster, less stressful and more efficient daily commute. This week is Bike Week in the UK and it’s a great opportunity to take part in local events that help you get back on the bike and get pedalling. Supporting more people to cycle safely to work is a key component of getting everybody active every day. Modelling done in 2012 estimated that a 10% increase in cycling and walking in urban centres in England would generate a cost saving to the NHS alone of over £15 million within 3 years, and the savings over 20 years were modelled at over £1 billion. The benefits of being active every day have positive impact on knee, hip and back pain, depression, type 2 diabetes, cardio-vascular disease as well as breast, bowel and colon cancer. There is specific evidence showing that cycling can be a great way to reduce knee and hip pain, and could potentially help to avoid needing a hip replacement. Creating safer cycling routes requires action at several levels of the public health system - a joined up approach is essential. The economic modelling from the Cycling Cities project suggested that for every £1 spent there was a return of between £2.6-3.50. Local authorities working with Local Enterprise Partnerships should be prioritising cycling and walking in transport infrastructure and street space design. The recent survey by the LGA found that over three quarters of the local authorities surveyed had a walking and cycling strategy to promote local action and over half had updated the cycling components within the last two years. The National Cycling Network is a series of traffic-free paths and quiet, on-road cycling and walking routes that connect to every major town and city. 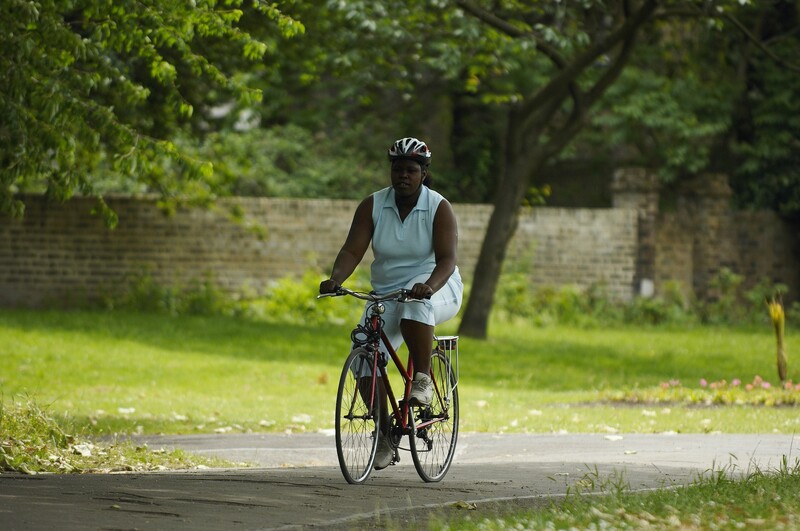 In its 20th year, over 4.8 million people used the network to walk or cycle in 2013 and over a quarter of journeys were daily commutes. Cities like London are taking action to make routes even safer for cyclists, restructuring major roads to separate cyclists from traffic and reformatting complex intersections to make them safer for pedestrians, cyclists and cars. Partnerships between local authorities, schools, charities and workplaces can support more children and adults to learn to ride bikes safely, as well as providing secure cycle parking, showers, changing and drying facilities, so that the cycle to work doesn’t mean a sweaty day in the office. The national Cycle to Work Scheme enables organisation’s employees to get bikes and accessories tax-free. Across the country organisations like CTC and Sustrans are offering cycling training and skills courses, support for local employers and public sector partnerships to turn the evidence base into action. Organisations like British Schools Cycling Association and British Cycling are working with schools across England so that cycling to school, work and in those day to day short trips becomes a habit of a lifetime. While the partnership between Sky and British Cycling has brought Sky Rides to communities across England. And cycling is something that can be done by almost everyone. I was really inspired last year by Wheels for Wellbeing, who were at the launch of Everybody Active Every Day. Wheels for Wellbeing is a charity run by and for disabled people who have discovered that cycling is a fantastic way to keep fit and mobile, build confidence and have fun. Cycling can be easier than walking for many people with disabilities, and a useful form of everyday transport. Their director Isabelle Clement whizzes around London between meetings in her wheelchair bike, really demonstrating that cycling commuting is possible for everyone. In my own team we have worked to practice what we preach, supporting two staff members last year to learn to ride a bike for the first time and we now share a team bike for nipping between meetings in central London. This week seems as good a time as any to get on your bike!